Colorful poster with 16 major chilies, arranged according to its spiciness 1-10 determined by the spiciness scale. Can be used in kitchen and also it is in A4 size optimized for framing. 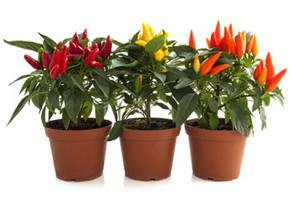 The trio infernale - the 3 hottest varieties that are on offer in the spicy garden cultivation set. The complete set contains instructions, fertilizer, seeds and pop up earth. Simply grow it yourself! Extra Hot - the hot double turns heads. The complete set contains instructions, fertilizer, seeds and pop up earth. Simply grow it yourself! 111 delicious recipes from the appetizer to the delicious desert with a lot of photos. The ideal addition to the Chili Pepper Book 2.0! The first Chilli children book in a compact form! A book for the next chillihead generation. Great as a gift! The ideal gift for any occasion. If you need a greater coupon, give us a call! The complete growing set for beginners. The complete set contains instructions, fertilizer, seeds and pop up earth. Simply grow it yourself! The ideal gift for any occasion. This time in the 50 EUR variant. This way you give the gift of hot fun! The ideal gift for any occasion. This time in the 20 EUR variant. This way you give the gift of hot fun! Have you been looking for a suitable, stylish gift for a real barbecue fan, or gourmet friend? Then you are exactly in the right place here at the Pepperworldhotshop! As a leading online retailer for the finest oils, spices and chilli plants, we have provided a large selection of suitable gifts exclusively for you. The absolute highlight of this year is our limited edition Pepperworld Chilli Seed Advent Calendar! A must have for every chillihead! It contains 24 exclusive chilli seeds that are not available to normal consumers in our latitudes. Lovingly packaged in small, Christmas bags with matching seeds tags you discover with our advent calendar day after day another surprising variety of chilli from around the world, which you cannot buy easily in our latitudes. So, the pre-Christmas time is twice as fun. 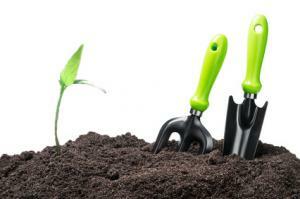 Matching plant fertilizer, cultivation accessories and pots you can of course also purchase with us. demanding pleasure people can be exhausting. We know that as well as you. So that you can really give away something special this year, we have put together a selection of exquisite products from the USA, Italy and Germany. For example, our "Ring of Fire" gourmet sauces gift set in an attractive gift box arrived fresh from the USA. 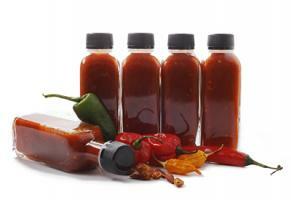 Anyone who already knows the Ring of Fire sauces will not want to try any others. Here you score with three bestseller sauces, a surprise sauce and countless recipe ideas. For connoisseurs of the outstanding sauces manufacture, dreams come true with our Ring of Fire gift set. Exclusively from Italy we offer you the noble and fiery Crema di Habanero RED with the degree of severity 10/10. The puree consists to 77% of red habanero chilies that could unfold under the sun of Italy their full heat and their special aroma extensively. 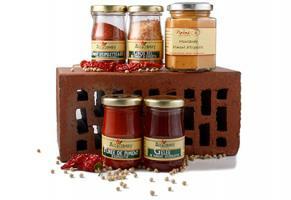 Enjoy puree on grilled, bruschetta or spaghetti. By mixing with mayo and low-fat yoghurt you can conjure up a fiery-fine dip. In addition, it peppers soups, dressings, ketchup and sauces. Better than any sambal and wonderfully fiery, the Crema di Habanero RED is just the thing for lovers of pungent taste. 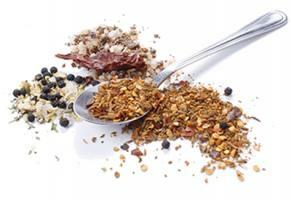 You will not go wrong with our Seven Spice Wonders from Germany. Here you will receive seven of the popular FeuerStreuer in one set. With different degrees of severity, it turns out again and again as a jack of all trades in every kitchen. On your marks, finished, enjoyment! Delight your friends with Habanero Extreme, Smoky, Curry Explosive, Jamaican Jerk, Cajun Dust, Memphis Rub and Southwestern. 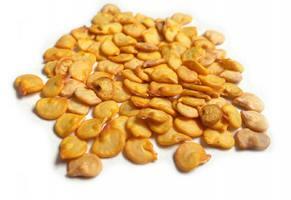 The individual varieties are perfect for delicious marinades and fine TexMex dishes. Experimenting allowed! We don't only have the hottest chilies, but also suitable books for you! Once again, our founder Harald Zoschke was very diligent, and has collected all his knowledge of the most important types of chilli, basics about chilli roasting and smoking, many fiery chilli tips and his 111 tastiest recipes on 208 pages and 440 photos. Discover, among other things, 29 main dishes, based on vegetarian or meat-based ingredients, sophisticated spreads and dips, and recipes for sweet treats. The new "Hot food lover recipes" together with the books "The Chilli Pepper Book 2.0" and "Chilli Barbecue" form a perfect symbiosis of the Chilli literature. The little ones may look forward to "Carl Cayenne and his vegetable friends" this year. The lovingly illustrated children's book by Nico Jäkel tells an exciting story about the delicate chilli plants from Gertrud's vegetable garden. Suddenly heat and aphids threaten the pretty garden idyll. Can Carl help? 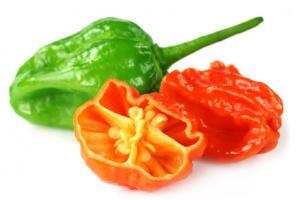 Children are given playful and extremely funny first, valuable knowledge about small chilies. Also beautiful for in between! If you are still unsure whether the chosen gift is really the right one, just give away one of our PepperWorld vouchers. These are currently available to us in the value of 10 €, 20 € or 25 €. The voucher printed on high-quality, frosted 300g-paper includes a coupon code that is to be entered in the shopping cart and it can be easily used. Now hand over a fine spice or an exquisite gourmet sauce, your gift impresses even more. We also have a gift for you! Together with your order in the Pepperworld Hot Shop we give you this year's copy of our limited edition Hot Pain Chilli Calendar 2017. The handy chilli calendar comes with cover page and 12-month pages in A4 format and makes kitchen, living room and many other places in the life of the Chiliheads even more exciting. Here's how it works: Just add the calendar in the shopping cart and then enter the code HP_2017. Each additional copy you get for a special price of 5 €. Perfect for all Chilli fans!